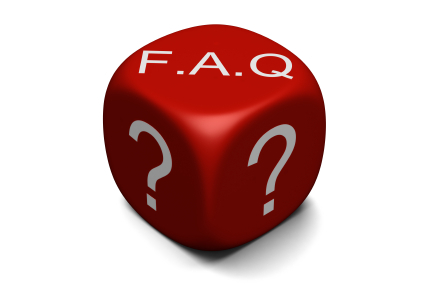 Q: How long does your FREE data recovery analysis and media inspection and quotation take? A: Usually between 24 and 72 hours depending on the workload of our data recovery lab. A: We offer an urgent inspection and quotation service. We may charge an inspection fee. It hits the top of the inspection queue and we work on it as a priority job until inspected. Q: How should I pack my hard drive? A: See full media shipping instructions here. A: Best way is to drop off your media. Click here to see the address details and directions on how to come to us. Opening times are here as well. However for those who can’t do this, they are advised to either use a reliable courier company or pack it according to instructions given here and post it to us by Royal Mail Recorded or Special Delivery. European or Middle Eastern customers can use DHL or UPS for shipping but they should pack the media according to the instructions found here. A: You have to print off the shipping form, fill it out and include it in the parcel that contains the hard drive. Q: How do you classify your recoveries? A: Usually we classify them as logical and physical. For more information about different types of data recovery click here. Q: Are your costs for data recovery fixed? A: Yes. After we inspect the media we will provide you with a quotation (fixed price) no matter how much time and resources have been used to complete the data recovery process the quoted price will not change. Q: Are there any catches with your “No Data No Fee” policy? A: NONE whatsoever. If we can not recover your data we will not charge you for the attempted recovery process. A small fee applies for the return of your media. If you choose not to have the media returned we will destroy it for you free of charge. A: Hard drives like other electrical devices have a MTBF (Mean Time Between Failures). Due to the hard drive architecture, it will eventually fail. Most cases of media failures are either due to physical failure of the media or due to human error SEE HERE FOR MORE DETAILS..
A: If you request, we will call you and review the recovered files with you over the phone or we can email you a small text file as a report (also know as a “snapshot”) of the files and corresponding directories that we have been able to recover. Q: How do you ship the data to me in the UK? A: We use Royal Mail Recorded Delivery or Royal Special Delivery. We use TNT and UPS for larger packages and laptops. We use DHL and UPS for Europe and the Middle East. Q: How do you ship or deliver data to other countries? A: We can either upload the data to our FTP server or we can ship it to you via UPS or DHL. A: Up to ~40Gb we offer free DVD media (Approximately 10 DVD’s). Above ~40Gb charges apply and you may have to buy a USB hard drive from us for the data to be copied. Alternatively you can supply the destination media yourself. Q: Can I drop off my hard drive? A: Yes you certainly can. See here for address details and directions + opening hours. Q: What about confidentiality of my data? Is it safe with you? A: We are bound by the confidentiality clause in the Terms and Conditions of Service. This agreement is here. Q: How do you preserve safety and security of my data? A: We store all recovered data on an encrypted SSAN (Secured Storage Area Network). After 8 days we wipe the data from the SSAN at a level that will render all data irrecoverable.